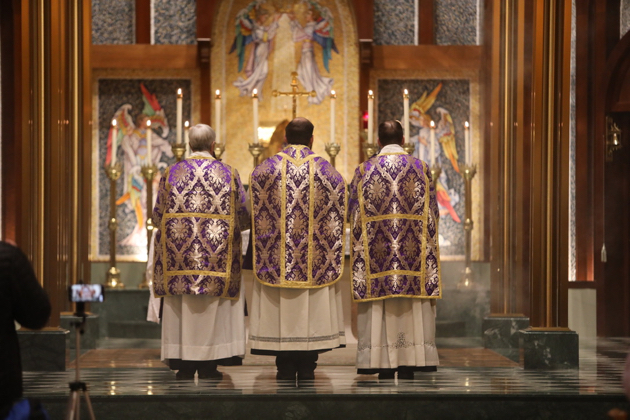 For the first time since the imposition of the Novus Ordo Mass on the Catholic Church in 1970 the Traditional Roman Rite was celebrated in St. Augustine Cathedral in Bridgeport, Connecticut. A Votive Mass of Peace was celebrated on the Anniversary of Roe v. Wade, the Supreme Court decision made abortion legal in the United States. The pastor of the Cathedral Parish, Fr. Michael Novajosky, was the celebrant and preacher. The deacon was Fr. Greg Markey, and the Subdeacon was Fr. Richard Cipolla.